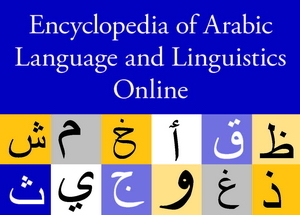 The Encyclopedia of Arabic Language and Linguistics Online comprehensively covers all aspects of Arabic languages and linguistics. It is interdisciplinary in scope and represents different schools and approaches in order to be as objective and versatile as possible. The Encyclopedia of Arabic Language and Linguistics Online is cross-searchable and cross-referenced, and is equipped with a browsable index. All relevant fields in Arabic linguistics, both general and language specific are covered and the Encyclopedia of Arabic Language and Linguistics Online includes topics from interdisciplinary fields, such as anthropology, psychology, sociology, philosophy, and computer science.